There are several instances in which people might have changed their phone number, and you need to let WhatsApp (and of course your friends and contacts) know about the change. With a few simple steps, you can update this information through the application quickly and safely. With a feature that WhatsApp integrated into the interface, the process of updating and changing your number is simple and easy. There are several reasons why you might have the same phone but have a new number, and of course, you just want to make sure that this does not affect your using WhatsApp. In order to keep your account working properly, you have to change the number associated with this account. Piece of cake. It will move all of your current account information from the old phone number to the new phone number. This includes profile information, groups and custom settings. It will remove the account associated with the old number, which prevents your contacts from sending messages mistakenly to that old number. By using the Change Number feature, your chat history and current threads will continue to be available (provided that you continue to use the same phone). It is wise to still back up this information from time to time, though. Using the Change Number feature is easy to do, and is just a few simple steps. Be mindful that this feature is intended to be used before you verify your new number. 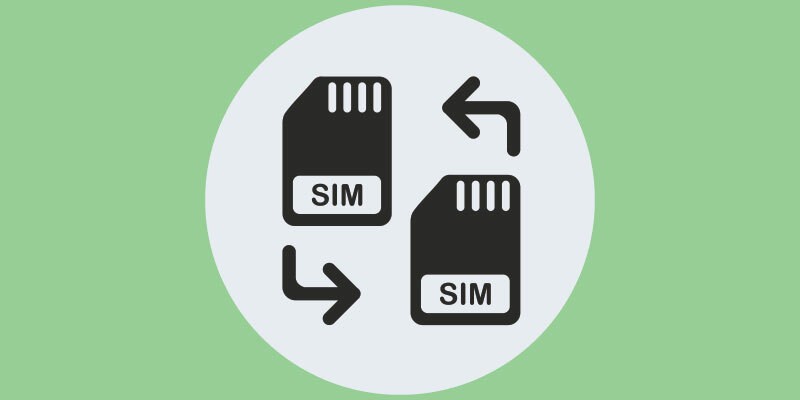 Start by inserting your new SIM card (with the new number) into your device. Check to ensure that your old number is verified. This is done by selecting the menu button, “Settings” and then tapping on your profile photo. Select the Menu Button again, “Settings”, then “Account”, and finally “Change Number”. Enter the old phone number in the top box. Enter your new number in the bottom box available. Follow steps to verify this new number. Go to “Settings”, then “Account” and finally “Change Number”. In the first box enter your old phone number. Your new phone number goes in the second box. Tap “Done” and follow verification steps. Ensure that your contacts on WhatsApp have their number saved in their address books so that they can still chat with you seamlessly through the application. Insert the new SIM card (with new phone number) into your phone. Check that your old number is still verified. From WhatsApp, choose “More”, then “Settings” and then “Profile”. Tap “More”, “Settings”, “Account”, “Change My Number” and finally “Continue”. In the top box enter your old phone number. In the bottom box, enter your new phone number. Tap “Accept” at the bottom of the screen. Follow verification steps for your new number. Simple enough, right? If not, drop a comment below and we can walk you through what you need to do as quickly as possible.